It has officially been one month since I was laid off. It's been a month of new opportunities, aggressive self-care, and lots of happy hours. I've devoted time to setting new goals. This includes deciding what my ideal life looks like and what steps I need to get there. I've worked hard to embrace the abundance mindset. This means turning down gigs that don't pay enough or don't propel me toward my long-term goals. I'm confident it's a smart move, but it requires patience while I'm slowly building my income. It also requires sticking with my bare bones budget for a while. For over a year and a half, I've focused on earning more. But now I'm carefully tracking my spending again. I've analyzed my expenses and learned I need ~$1,750 to get by. $1,750 a month is a realistic goal, but it will require some discipline. 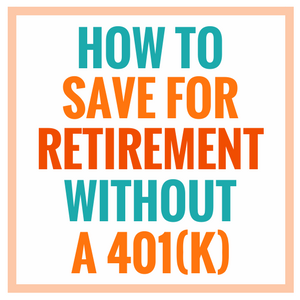 Here is my strategy for covering my bills, avoiding debt, and stretching my emergency fund. 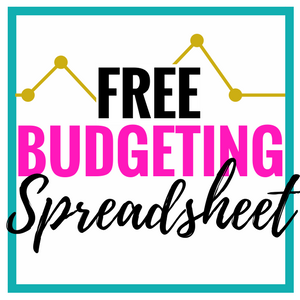 A bare bones budget is a handy tool to help you through slower periods of income. If you have been laid off, fired, or quit your job, a bare bones budget can help determine two things: 1) how much income you need to get by, and 2) how long your emergency fund will last. If you haven't been regularly tracking your spending, login to your bank and credit card accounts to take inventory of the past six months to one year of your expenses. For effortless budgeting, consider trying a free tool like Personal Capital. Their cash flow and expense tracking tools save a ton of time! It's like Mint, but much more robust. Once you know how much you've spent each month, you can begin trimming the fat. Separating fixed and variable expenses may make this easier. Being laid off or fired is often unexpected. But if you're given any warning or severance, you may have some time to prepare for leaner months. 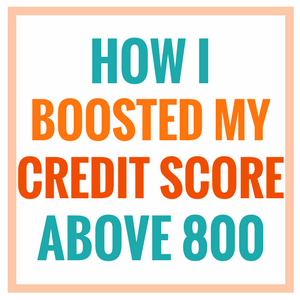 When you are no longer earning income, the sting of high-interest credit card debt can be especially painful. If you can comfortably pay off your balance, interest will be one less monthly expense to worry about. If you haven't been tracking your regular doctor's visits and monthly prescriptions, now is the perfect time to start. Get organized by making a list of everything you have used in the past year. If you are changing insurance, especially to a high-deductible plan, you may want to schedule all the necessary appointments and refill prescriptions before making the switch. Large annual expenses like car insurance can be especially rough during periods without income. Review your past year of expenses and make a list. You can start saving for these expenses every month or set aside the entire amount for when the bill is due. A bare bones budget requires more discipline than a normal budget, but many of the same tactics can be effective. Identify your problem areas Do you overspend on food and drinks? Or are you blowing too much money on Amazon every month? By identifying your problem areas, you are more likely to be mindful when future temptations arise. Break your budget down weekly It's easy to lose track of certain types of expenses when you're only checking in once a month. Try setting a weekly budget instead. This gives you the chance to improve problem areas more quickly. Allow for small indulgences Chances are, you have probably made some pretty dramatic cuts for your bare bones budget. To avoid feeling deprived, allow yourself to have small indulgences from time to time. It may be as simple as a cup of coffee or a special ingredient from the grocery store. Small indulgences can help prevent major missteps. A bare bones budget is meant to be temporary. By following these steps you can cover your bills, avoid getting into debt, and stretch your emergency fund until your income is steady again. 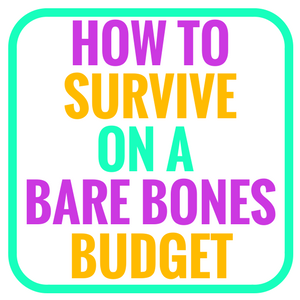 Readers: Have you ever lived on a bare bones budget? What are your survival strategies? I think having your plan (budget) ahead of time is key, so when/if an event occurs like job loss you don’t panic. You can easily make the adjustments needed. Cutting those wants or luxury items is the best first step. It’s been really helpful to me twice over the past two years. It’s hard to think practically when you are dealing with a job loss. Having a plan in advance is huge! We lived on a bare bones budget when we were young and paying off debt. It wasn’t fun, but it was only temporary. I would do the same to pay off debt if needed. I’m sure the temporary sacrifice was worth it! Pretty much the entire time I was freelancing! I found that cheap entertainment like Netflix really helped stave off the need to go out and have drinks or eat out. It also helps being an introvert! The plus side of it was that it helped me be creative in thinking of things I could do for really cheap! I love Netflix! And there’s definitely a ton of free (or cheap) entertainment in Nashville. I’m really lucky to have access to that. It all takes time. $1,750 is a minimum, hopefully you can make double+ that. Never under estimate the power of determination and ambition. Take a side gig once in a while that leads to completely different avenues. Even if you have to get your hands dirty. You can make a LOT of money doing some manual labor and it doesn’t have to be that manual. Interesting suggestions! I’m definitely open to all money making opportunities (assuming they pay enough). I’ve turned down some lower paying gigs because I have to account for taxes + health insurance now. Definitely do a healthcare audit, especially dentist visits. 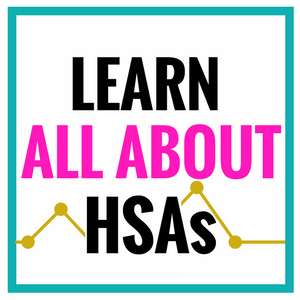 People never seem to do their yearly checkup and cleaning (it’s super important!). When I went through a job loss, I wish I would have known to budget monthly for annual/semi-regular expenses (oil changes, registration, etc). I’m curious to hear what you think about contributing to retirement accounts while in a period of job loss. Should you lower monthly contributions, stop them as part of your bare bones budget, etc? Thanks! Great question, Colin! I’ve already maxed out my Roth IRA for the year. And I don’t currently have any additional retirement accounts. I think it depends on your situation. If you can comfortably afford to make contributions, go ahead. If not, it may need to be delayed until income is more steady again. Glad to see you have everything under control Kate! 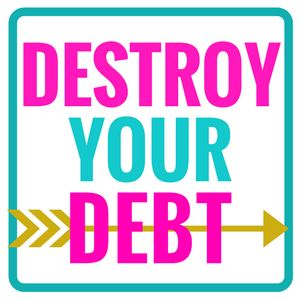 Although I’ve never had to live on a bare bones budget, I have worked on building it before and my first step was to take out any savings, investments or debt (other than minimums). Before adjusting anything on the lifestyle side, I had already reduced the amount quite a bit. Thanks, Mr. Compounding! It’s definitely a great exercise for anyone, even if you feel like your primary source of income is pretty safe. The healthcare audit is a great idea. Preventative care while still under an employer plan is probably much cheaper than an emergency on your own plan. Definitely, Matt. I took care of several things over the past month. It will easily save me $500-1,000 through the rest of 2016. Great job embracing your new situation. $1,750 per month is very good. Hopefully, you’ll be able to increase your income so you can increase that budget. I haven’t lived on a bare bone budget since the college days. I’m sure I could go back, but it wouldn’t be any fun. It would be okay for the short term. Good luck! Thanks for the encouragement, Joe! I’m looking forward to increasing my income over the next few months. Listing your one-off annual expenses is such a great idea! That’s admittedly something I need to work on. Yeah, hopefully I stay more on top of those going forward. It really helps to budget for them monthly! That’s awesome, Doug. Living frugally doesn’t have to mean deprivation! Thanks for the encouragement, Ray Ray! $1,750 per month is pretty solid, kudos to you for getting it down so low. For me to do something similar I’d have to do some major restructuring like downsizing my home or finding a roommate. It’s certainly ideal to cut back on large expenses categories like that first and foremost. Hang in there! Like you said, it’s only temporary. I’ve been living frugally for a while, so my bare bones budget doesn’t require too much sacrifice. Mostly, I’m just cutting back on eating and drinking out all the time. This is definitely an eye opening experience and one that will help you down the line. If you can make it on a bare bones budget, you can make it anywhere. I haven’t had to utilize my own bare bones budget yet, but its helpful to see your example. This is definitely a temporary thing! Definitely! I’m looking forward to saving regularly again in a few months. 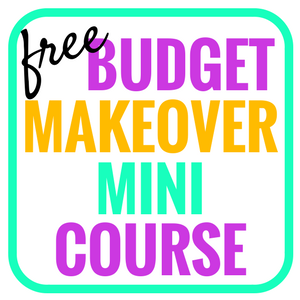 I have not tried a bare-bones budget before, but I’m always trying to find “practical” tweaks to my spending. I will be making a couple of adjustments that should save us $100-$200 a month soon. That’s a big win in my books! Saving an extra $100-200 a month is huge! Especially when you consider how much it will earn over time. When we first moved out to Arizona, we had no job lined up and a bunch of new expenses with Mrs. Done by Forty going to grad school (and no funding yet secured). So yeah, we lived really lean. Rented a room a house with three other people for $400 a month (utilities included), ate in all the time, and generally kept living like college students. I think we may have been around the same monthly budget as you. Honestly, we still had a ton of fun that first year. You don’t need to spend a lot to live a lot. Very true, Mr. Done by Forty! There are so many ways to have fun without breaking the bank. I love these tips. If you’re going to be running your account close to zero (as in you don’t usually keep a buffer in the account), be sure to plan out all your spending including auto-drafts. You don’t want to be on the way to the grocery store only to discover that your cell phone plan just took your last dollar. Great tip, Hannah! Nothing’s worse than unnecessary fees when your income has already been reduced. That’s great, Sylvia! I quit my job two years ago and my bare bones budget helped me stay afloat for four months without a full-time gig. I’ve got a similar “bare bones” approach for my emergency fund. If I need to tap into it it’ll be on a bare bones budget for sure! That’s fantastic, Dollar Engineer! You’ll be grateful to have planned in advance when you need it. Love this. I had made my bare bones budget as I was under the threat of redundancy at work. Luckily I escaped the chop, but it was a severe wake up call. I’ve instantly started to track all my spending again and I’m topping my emergency fund up more than I’ve ever done just to be on the safe side. I do eventually want to be totally self employed, but my online earnings are not enough yet to live off. Best of luck! That’s really smart, David. I’m really glad you managed to avoid a layoff, but are preparing for it anyway. 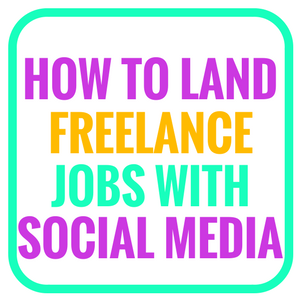 If it never happens, you’ll have a great safety net for eventually making the jump to self-employment. This idea makes perfect sense, but I’ve never actually taken the time to sit down and crunch these numbers. I’ve always seen the “x times monthly income”, but this paints a better picture of what you actually need and is also a great thought exercise to help sort your priorities out and discover whether or not you actually know how much you are spending in a year! I think I will tackle this project myself soon and keep it as a record. Building your emergency fund off monthly income definitely isn’t a bad idea. Hopefully, you’re living far below your means and that extra money will create an even larger cushion. We have been taking a full year off work, and it has been interesting to see where our monthly expenses land. We haven’t really tried to cut back too much because we took the year to enjoy it. (we are already rather frugal.) But it’s been really useful info. Glad to hear your handling the change well. Thanks, Ms. Montana! Taking a year off sounds amazing. It’s interesting how easy frugality can be once you make it a habit. I’m always looking for ways to save money because it’s so easy to be laid off, for the company to say “we don’t need to you anymore.” I am confident with the money saving techniques that you are employing that you will be back on track. 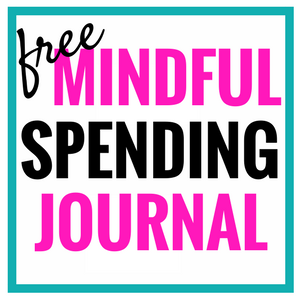 Budgeting is becoming so much more important! You are absolutely right. I have been laid off twice and quit my job once! My emergency fund has been critical in helping me through all three of those transitions. Glad to hear you are embracing the change and making it work! Every now and again I give some serious thought to how much fat we could trim from our budget and get by in emergency mode. Thankfully we haven’t had to exercise it yet. A couple of years ago, when I was planning to quit my job, my six-month emergency fund helped stay in positive spirits. Knowing that I could leave made every day a little bit easier. I continue to be impressed at how unphased you seem by your layoff, when that event would be hugely traumatic to most people! Speaks well to your level of preparedness, and shows that that’s the whole point of having your finances in order, so that you can adapt to unpleasant circumstances. I love your approach to the bare bones budget, and think this is applicable to everyone. We have a bare bones budget mapped out for retirement, for years when our investments don’t do well, so that we don’t draw our accounts down too much. We hope to be able to spend almost double our bare bones budget (mostly on travel and fun activities), but we take enormous comfort in knowing that we can cut that number way back and still be just fine. Thanks for the encouragement! Being laid off from my first job out of college was definitely a lot more traumatic. It was a difficult situation, but taught me a lot about company loyalty and preparedness. Plus, I’ve spent years trimming back my expenses. Living far below your means is beneficial for so many reasons! Thanks for sharing this post! It’s a great reminder for me because I need to tighten up my spending to about the same range as you. I need minimum $1500-1800. I almost feel like I’ve been on a bare bones budget for years, though, because even when I had a salary I was restricting my spending to invest anyways. As for survival strategies… try not to dine out, don’t buy coffees out, track all your spending so you’re aware, and find other ways to have fun. Thanks for the suggestions! I’ve been trying to keep a tighter budget lately, especially with realizing how much money I am throwing away on coffee and food. 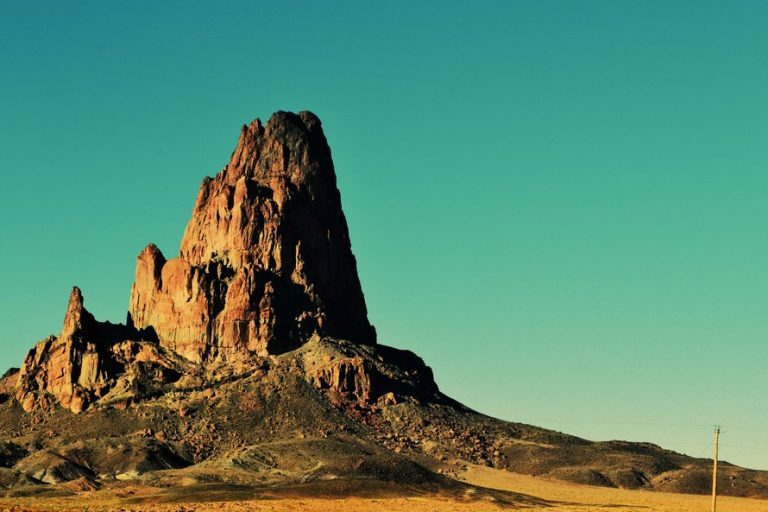 I recently moved to a city, instead of a small suburb in Colorado that I was living in, and it’s gotten exponentially harder to save money because of that, but only because I want to go out and explore.